Last week I had a few bananas that had ripened beyond what we would eat fresh and instead reached the point of being perfect for baking. To be honest we go through so many bananas every day that I have to specifically set a few aside and let it be known I need really ripe “baking” bananas. We had a whole bowl people! I was excited because this meant we could make 2 loaves of Banana-Nut Bread for a Saturday treat, and an extra batch of muffins for the girls to take in their lunches through-out the week (their school happens to be nut free so I left out the walnuts in the second batch). 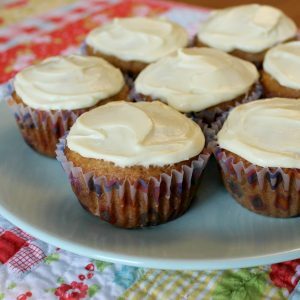 Normally I make the two loaves version of this Banana-Nut recipe, but since we go through an entire loaf per snack as a family – I thought perhaps muffins might last a bit longer. 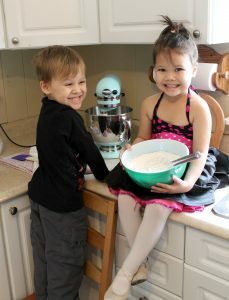 Hannah and Josh were super excited to help me bake, and I was happy to have such willing helpers! This recipe is from Martha Stewart’s Baking Handbook, and is my absolute favourite Banana Bread recipe. It is well worth the addition of real buttermilk in this recipe – so don’t skip it or try to make your own soured milk. 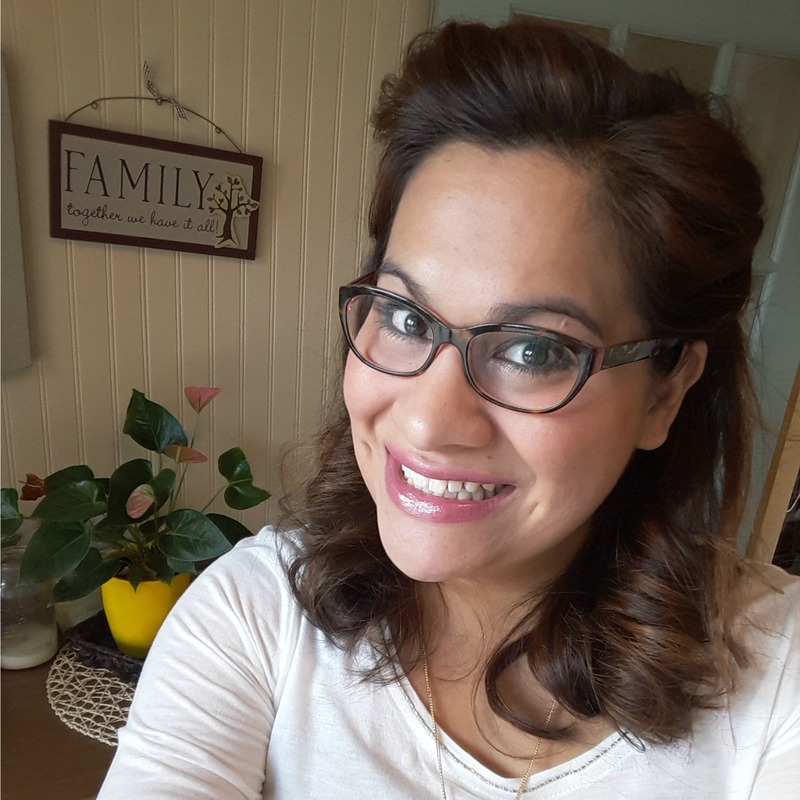 Let me know if you try it and what you think of the result – our family is pretty passionate about fresh baking and this is no exception! Happy Baking. 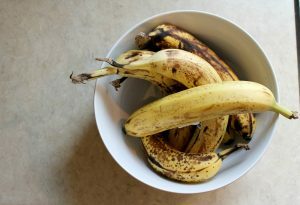 Our family's "go to" banana bread/muffin recipe. Preheat the oven to 350F. Coat two loaf pans with cooking spray (I use a bit of margarine and spread it onto the pans with my fingers) set aside. In a large bowl mix flour, baking soda, and salt - set aside. In the bowl of an electric mixer fitted with paddle attachment, beat eggs, sugar, and vegetable oil on medium-low speed until combined. Beat in the flour mixture. Add vanilla, banana, coconut, nuts, and buttermilk, beat until just combined. Divide batter between pans and smooth (or jiggle) until smooth. Bake in the preheated oven for 60-65 minutes. Test with a cake tester comes out of the center clean. Transfer to wire rack to cool. Bread can be kept at room temperature, wrapped in plastic wrap for 1 week, or frozen for 3 months.